No one likes to think about disasters. Severe weather, fire, theft—or even a seemingly small issue like a broken pipe—can wreak havoc on your home and result in thousands of dollars in damages. Fortunately, a good homeowners insurance policy can offer you peace of mind that you and your family will be financially protected if disaster strikes. Some homeowners also choose to purchase a home warranty, which covers many of the systems and appliances in your home that are NOT covered by homeowners insurance. Home warranties are separate from homeowners insurance, so if interested you’ll need to seek out a policy through a dedicated provider. Keep in mind, if you do purchase a home warranty, you will still be responsible for paying a service fee, or deductible, every time you use it. And you will be limited to using service providers who are contracted through your home warranty company. Whether you’re shopping for a new policy on your first home or you’re considering switching providers on an existing policy, it’s important to do your research beforehand. Not all insurance policies—or providers—are created equal. A little due diligence can save you time, money, and hassle in the long run. When choosing an insurance provider, ask around for recommendations. Check with neighbors, friends, and family members, particularly those who have filed an insurance claim in the past. Find out if they had a positive or negative experience. Read online reviews. Ask your real estate agent for a referral to a reputable insurance broker who can help you compare your options. Don’t just choose the cheapest policy. Instead, search for one that offers excellent client service and provides the best coverage for the cost. Also, consider whether you need a higher level of liability insurance to protect your assets. If your investments and savings exceed the liability limits in your policy, you may need to purchase an excess liability or umbrella policy. Ultimately, you should make sure your coverage is adequate to mitigate your losses—but don’t pay for excess insurance you don’t need. Ask your insurance agent about additional coverage options that can help close any gaps you have in your policy. Expensive jewelry, furs, collectibles, or artwork may not be fully insured by a standard policy. Ask about raising your limits for any items of particular value, or check with a specialty insurer about a separate policy for such items. While a replacement cost coverage policy will result in a bigger payoff if you suffer a loss, it will probably require a larger annual premium. Compare both options to find out which is the better fit for you. A deductible is the amount of money you are responsible for paying on a loss before your insurance company will pay a claim. Opting for a higher deductible can reduce your premiums. Note that in some cases, your insurance policy may have a separate or higher deductible for certain kinds of claims, such as those caused by floods, windstorms, hail, or earthquakes. While a higher deductible can save you money on your premiums, opt for one that is still affordable given your current financial situation. However, bundling isn't always the best or least expensive option. In some cases, you may find better coverage options, service, and/or pricing if you split your policies between multiple insurers. So be sure to consider all of your options before making a final decision. Even if you’ve done all your due diligence before purchasing a homeowners insurance policy, don’t set your annual renewal on autopilot. Instead, when it comes time to renew, take some time to consider factors that have changed over the past year. Has there been a shift in market conditions that would make it more or less expensive to rebuild your home now? If so, you may need to adjust your coverage levels accordingly. Finally, consider any changes to your financial situation that may require increased liability coverage limits. If you’ve grown your investments or inherited property, it may be time to purchase additional coverage to protect your expanding asset base. 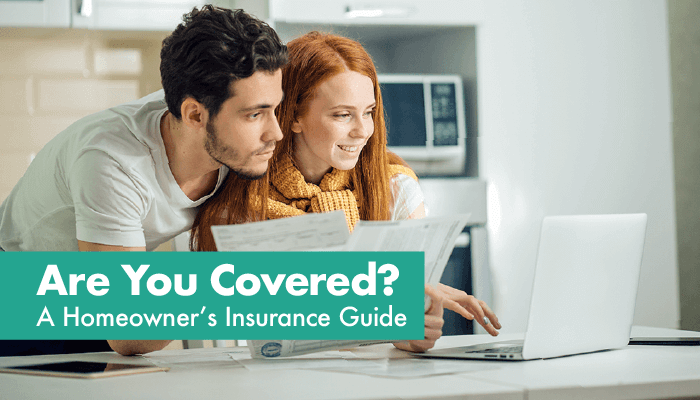 Now that you understand the basics of homeowners insurance, you should be ready to start shopping for a policy that best fits your needs and budget. Your goal should be to minimize your risk while maximizing the value your policy provides. While you never want to leave yourself without a safety net should disaster strike, you also don’t want to overpay for insurance you don’t need (and will hopefully rarely use). Aim to strike a balance that will provide you with adequate protection at an affordable price. If you’re in the market to purchase homeowners insurance or a home warranty, give us a call! We get a lot of feedback from clients on the best (and worst) providers and are happy to share what we know. We can also put you in touch with a trusted insurance professional who can answer your questions and help you find the best policy to meet your needs. The above references an opinion and is for informational purposes only. It is not intended to be financial or insurance advice. Consult the appropriate professionals for advice regarding your individual needs.